US industrial designer, born in Magdeburg, Germany. He worked in film set design and studied architecture at the Reimann School and the University of Berlin. He immigrated to the US in 1926. 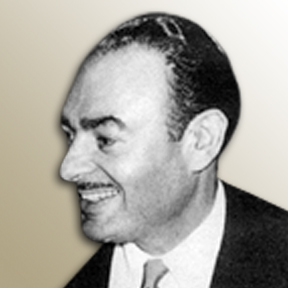 In 1932 he established his firm, Alfons Bach Associates, in New York City. His clients included Heywood-Wakefield Furniture Company, Lloyd Manufacturing Company, International Silver, Philco and TWA. He located to Stamford, Connecticut in 1937, where he designed and developed the Ridgeway Shopping Center. He became president of the American Designers Institute (ADI) in 1943 and was awarded Fellowship, which was honored by IDSA in 1965 after the merger of the two societies. He continued his practice in Palm Beach, Florida in 1959, and retired to Pensacola, Florida in 1992.